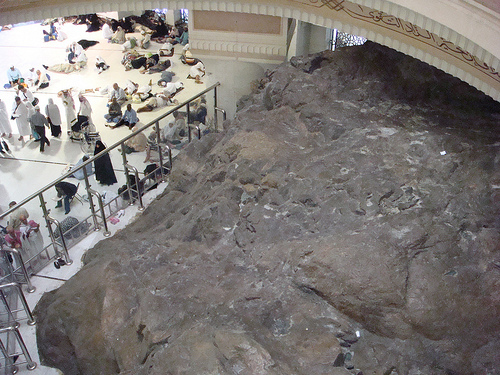 Safa and Marwah are two small mountains near the Ka’bah. It was these two mountains that Hagar (AS) had ran between in search of water when the baby Isma’il (AS) was crying out of hunger and thirst. She started with mount Safa, climbed on top to see if she could locate any water or any persons that could assist her, she found nothing and then descended and went to mount Marwah and did the same. She did this seven times before the Angel came and uncovered for her the well of Zam Zam. There was a section of the valley between the two mountains from where she could not see Isma’il (AS) and she would sprint this section to get to the other side. This is currently demarcated by the green lights that show the area which she ran. 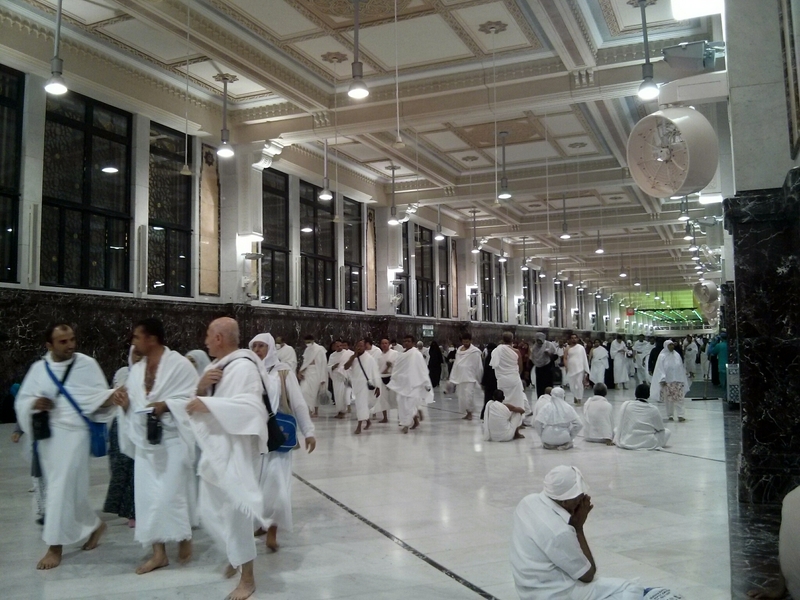 The pilgrims complete the seven circuits of Safa and Marwah and the running between the green lights as part of the ritual of Sa’i when completing the Hajj or Umrah.